Sharon D. Raynor is an Associate Professor of English at Johnson C. Smith University. She also teaches documentary writing in the Center of Documentary Studies at Duke University and she has also held a visiting teaching position at WFU with the English Department/Writing Program. She is a North Carolina native, a graduate of East Carolina University with degrees in English and Multicultural Literature (BA ’94, MA ‘96) and holds a PhD in Literature and Criticism from Indiana University of PA (‘03). She has held faculty fellowships at Duke University (Humanities Writ Large), New York University, W.E.B. DuBois Institute for African and African American Research at Harvard University, Gilder-Lehrman Institute of American History and the United States Air Force Academy. In previous years, she served as the Interim Director of the Honors College and the Department Chair of English and Foreign Languages at Johnson C. Smith University and as a Lecturer in the English Department at East Carolina University. Since 1999, she has written and directed two oral history projects sponsored by the North Carolina Humanities Council entitled “Breaking the Silence: The Unspoken Brotherhood of Vietnam Veterans,” and “Soldier-to-Soldier: Men and Women Share Their Legacy of War.” She is also a presenter for the Speakers Bureau Road Scholars and “Let’s Talk About It Book” Discussion Program, both sponsored by the North Carolina Humanities Council. 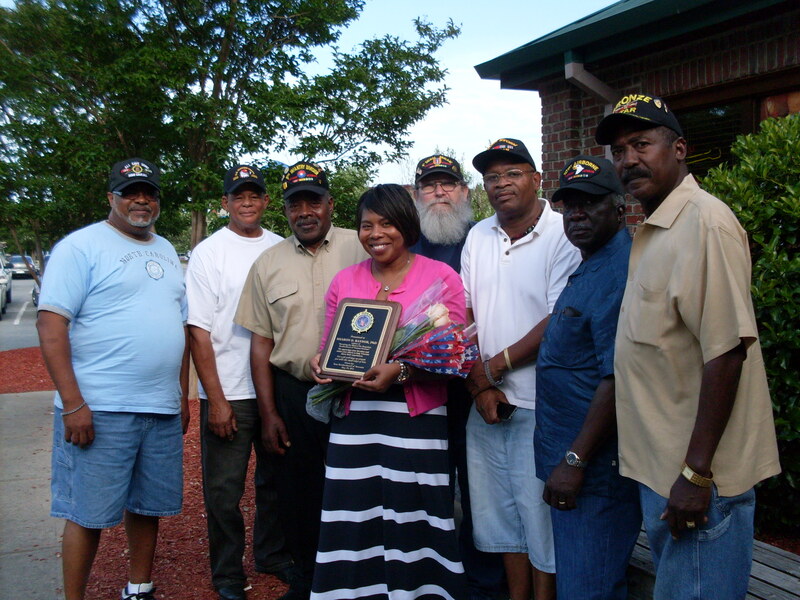 She works extensively with Vietnam War veterans in North Carolina. She has also collaborated with LEARN NC (a program of the University of North Carolina at Chapel Hill School of Education) – North Carolina Digital Textbook to post excerpts of oral history interviews she conducted with Vietnam Veterans to their website. he has been a participant in the UNCF/Mellon International Faculty Seminar in Cape Town, South Africa and Salvador, Brazil, the International Faculty Development Seminar sponsored by the Council on International Educational Exchange (CIEE) in Dakar, Senegal (West Africa) and Cape Verde, the Salzburg Seminar at the Salzburg Institute in Austria, the Gilder Lehrman Institute of American History at Yale and the Faculty Resource Network Summer Seminars at NYU and Winter Seminars in Puerto Rico. She is also an Executive Board Member for the Southern Humanities Council. he was also the Mott University Distinguished Professor (2010-2013) and the 2007 recipient of the Johnson C. Smith University Par Excellence Teaching Award. She was born and raised in Clinton, North Carolina. “Welcome Home, Brother,” 27 Views of Charlotte: The Queen City in Prose and Poetry. Hillsborough: Eno Publishers, 2014: 110-116. “African American Masculinity Performance in the Diaries of Vietnam Soldiers.” War and Life Writing. Louis O.Vasvari and I-Chun Wang, eds. CLCWeb: Comparative Literature and Culture 17.5 (June 2015) Purdue University Press (forthcoming). “The Tell-Tale-Listener: Gendered Representations in Oral History [with Vietnam Veterans]. (In)Scribing Gender: International Female Writers and the Creative Process. Clarksville, TN: Diversion Press. (Forthcoming). The Yancy Years 1994-2008: The Age of Infrastructure, Technology & Restoration, Set?Communicate! Publishers and Johnson C. Smith University, 2008. (co-authored book). “The World of Female Knowing According to Georgia Douglas Johnson.” CLA Journal (College Language Association) XLV: 2 (December 2001): 231-242.